Namibia is a beautiful place to visit; its scare population coupled with arid climate make it one of the most adventurous and perfect visiting spots in the world. Namibia is inviting and easy to travel to but just not the right place to get lost. It’s a top destination for men and beings who enjoy nature, grandiose landscapes, spectacular contrasts of golden/grey sand dunes and a perfect club class wildlife viewing. 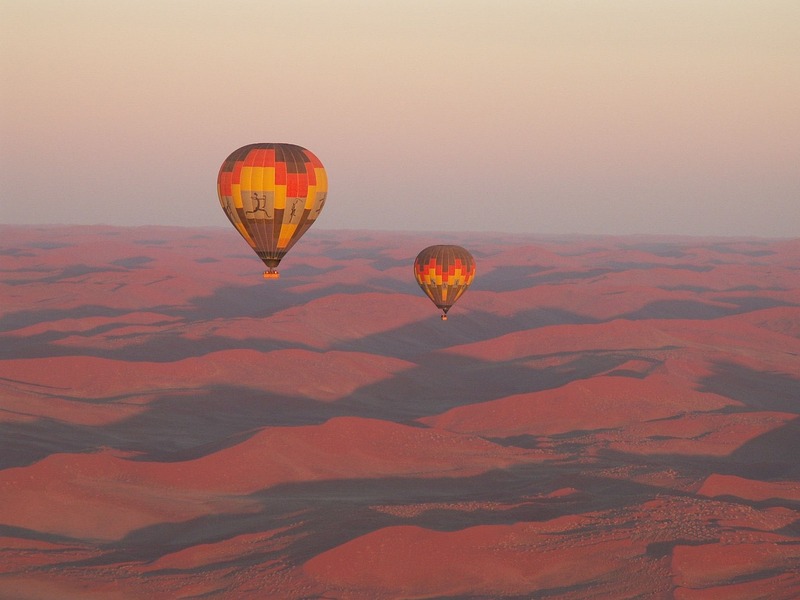 Here are top 10 picks for your next trip to Namibia. Our first pick is Kolmanskop. 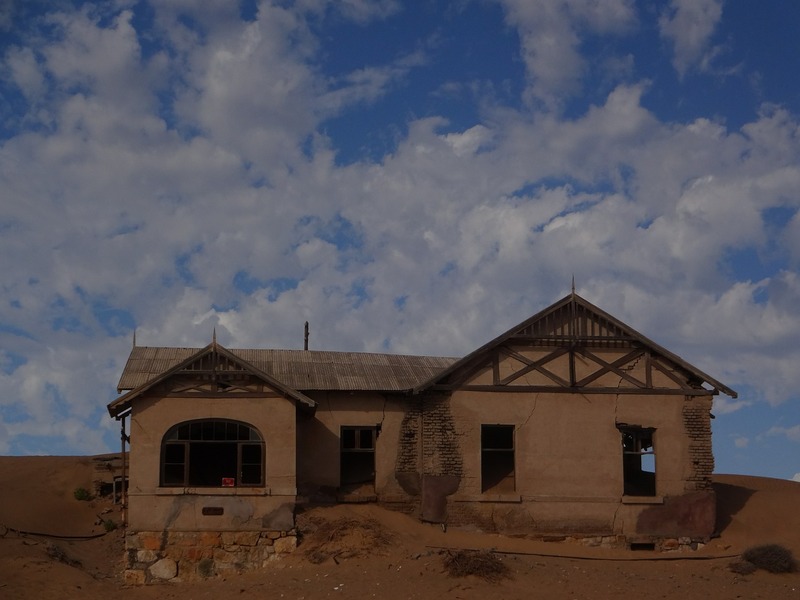 Primarily a ghost town, located a few kilometers inland from the port town of Lüderitz, Kolmanskop is a hub for Germans and represents typical German architecture. Many Germans settled in this area after diamonds were found in 1908; driven by this enormous wealth of the very first diamond Miners, the residents and locals built Kolmanskop in the architecture of a German Town. Amenities and institutions including a hospital, schools, casinos, ball room and well as the first tram in Africa are available here. The town’s glory declined when the diamond fields exhausted after which the city was eventually abandoned in 1954. The amazing desert means that tourists now walk through houses of knee deep sand. It’s a place worth visiting, one that will most definitely take your breath away. Kolmanskop is a perfect fictional town, just one in reality’s universe. Located towards the north-western side of Namibia, Twyfelfontein has one of the largest concentrations of rock engravings in Africa. Most of these carvings were carved over 6,000 years ago by long gone ancient Bushmen. These carvings were made by cutting carefully through the very hard surface of sandstone. They represent animals such as rhinoceroses, elephants, ostriches and giraffes as well as some other depictions of human and animal footprints. 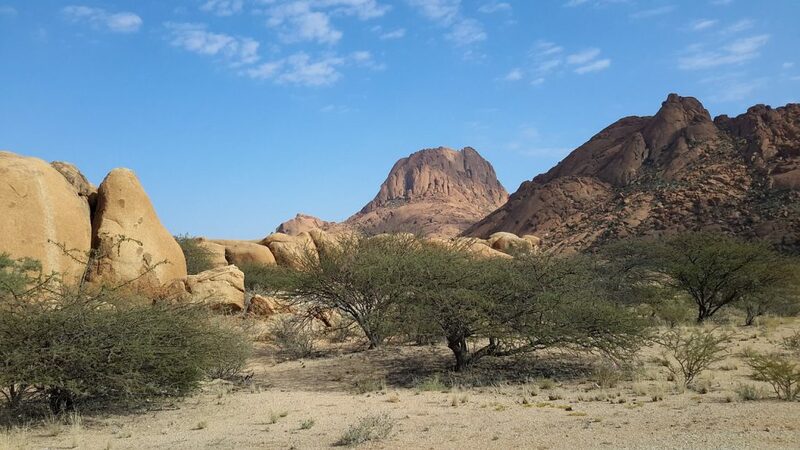 Nicknamed as the “Matterhorn of Namibia”, the beautiful Spitzkoppe is a group of bald granite peaks in the Namibian desert. The highest peaks stand out about 700 meter (2,300 ft) above the flat desert floor. The humongous granite massif, was created by the sudden collapse of a gigantic volcano more than 100 million years ago and the subsequent erosion exposed the volcanic rock. The attractions include the many bizarre rock formations towards the south and several unique San (Bushman) paintings found in various places. The Swakopmund is and will probably stay Namibia’s biggest coastal town and a very popular beach resort for the Namibians on holiday. The city has German origins which are quite well pronounced in the beautiful old German Colonial buildings throughout the city, creating a juxtaposition of a stark contrast with the Namib Desert at the edge of town. The close and nearby sand dunes, which provide several activities such as sand boarding, horse riding and quad biking while the beaches of Swakopmund, provide plenty of surf and sand. Swakopmund is beautiful place to visit, especially for its contrasting color scheme. An area situated about 120km north of Swakopmund, the Cape Cross is home to one of the largest colonies of Cape Fur Seals in the world. The surrounding area was proclaimed as a reserve in 1968 to protect the biggest and best known of the 23 colonies of Cape Fur Seals which have been and continue to breed along the coast of South Africa and Namibia. Furthermore, during the November / December breeding season about as many as 150,000 seals gather at Cape Cross. The name specifically refers to the very large stone cross erected in the place, here by Portuguese explorers in the 15th century. Located in the heart of Namib Desert, Sossusvlei is a beautiful enormous clay pan surrounded by a gigantic, red multifarious sand dunes. The Tsauchab River also flows through the desert, and the few times it floods, its rare flooding waters the vegetation that survives in the clay soil. During the sunrise and sunset, the colors of these sand dunes are and keep on constantly changing to provide an opportunity for photographers and sight seekers. The fierce desert winds continually alter and modify the shape and texture of the dunes. This is beautifully provides an amazing ever-changing desert landscape. The Fish River Canyon in southern Namibia is the second only in grandeur to the Grand Canyon in Arizona. It is stunning and absolutely magnificent and breathtaking in its immensity. The canyon features a grand gigantic ravine, in total about something around 160km (100 miles) long. It is also up to a 27 km wide moment in its length and in places almost 550 meters deep. As a result, the Fish River is being dammed it only contains a very small amount of running water. The one and only Etosha National Park is centered on the vast Etosha salt pan. The very pan itself is usually very dry and only fills with water shortly, and very briefly in the summer. It is enough to stimulate the organic growth of a blue-green algae. This is what lures in thousands of flamingos to the Park. Most of the wildlife; herds of zebra, wildebeest and antelopes, can be sported around the waterholes that border the pan. 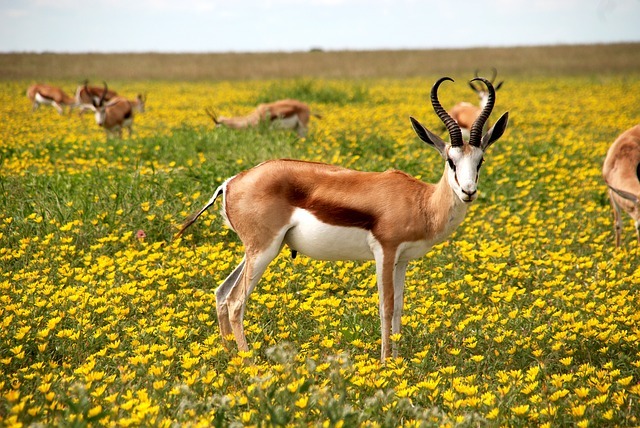 Etosha is also well served by three well-established rest camps and offers a great self-drive safari experience. The Skeleton Coast is towards the northern part of the Atlantic Ocean coast of Namibia. Very Dense fogs, mighty and definitely scary storms and very violent surfs. These have caused many ships in the past to run aground along the Skeleton Coast, and the absolutely desolate. The coastline has become known as the world’s biggest ship graveyard. Some survivors of shipwrecks would manage to swim through the heavy surf and reach the coast. They would still had to face the waterless and hostile coastal desert due to the terrain. The coast north of the Terrace Bay is dominated by high sand dunes. It is an absolutely attractive stretch of the Skeleton Coast. Namibia Craft Centre; a place where you can not only see the country rich craft heritage. It is also a place to experience some bits of history. You may also go through the very closely knit and beautiful cultural craft of the country, that is Namibia. While in the region, you may also check out: 10+ Incredible Places to visit and Things to do in Zimbabwe.